Running in Naples, Italy. 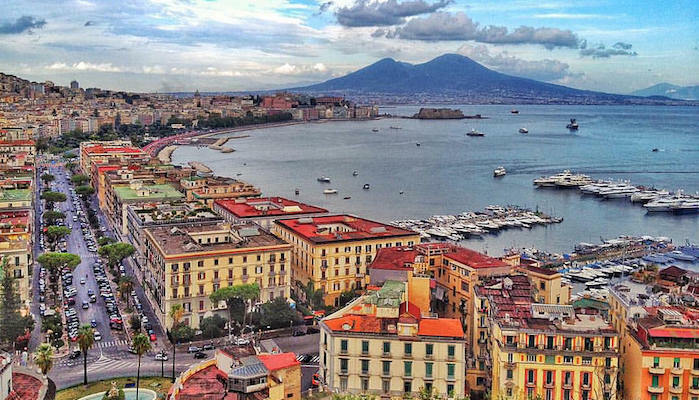 The best routes and places to run in Naples. Naples, or Napoli, is one of the largest cities in Italy, situated on a gulf of the Tyrrhenian Sea in the shadow of Mount Vesuvius. This mediterranean port is a UNESCO World Heritage site, noted for its Greco-Roman roots and its beautiful piazzas, palaces, churches, and castles. The cramped historic layout of downtown makes running in Naples, Italy somewhat difficult, but there are some great spots. Traffic and minimal sidewalks rule out many of the central streets. 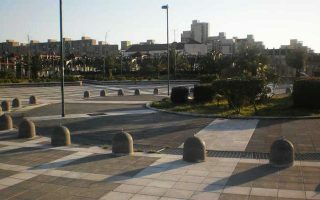 Luckily for runners, the long waterfront promenade of the Lungomare is both a scenic and a convenient route to run traffic free in Naples. 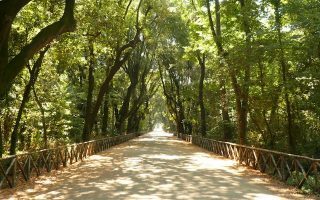 Other options include the palace grounds of Capodimonte Park, the street and steps leading up to San Martino, and a historic tour of Old Town. 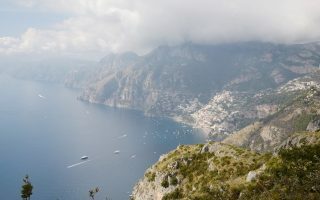 For a destination adventure, trail runners may want to visit the Amalfi Coast to run the famously scenic Path of the Gods. 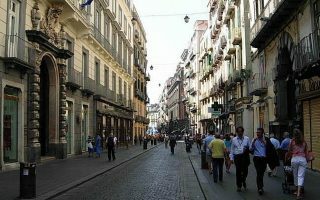 While the streets may not be ideal for running, Naples is actually an incredibly walkable city, and most travelers choose to get around on foot. For longer distance travel, the metro or funicular are good options for avoiding traffic. However, for further flung routes (like the Path of the Gods) runners will have to try their hand with the rather inefficient bus system. A flat and breezy popular waterfront running path with great views of Vesuvius. Extend the route with a run through Villa Comunale. See the historic sights of Old Town Napoli on this tour through winding cobblestone streets, adorable shop fronts, and brimming historical architecture including churches, piazzas, and palazzos. Go early! Run the hunting grounds of a former royal palace, which have been converted to over 3 miles of forested paths and gardens. 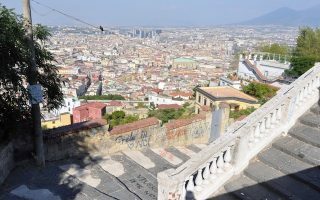 Located in the Vomero district, just west of Naples center, this street wrapping around St. Elmo’s Castle and the San Martino overlook is one of the rare opportunities for a long sidewalk run in Naples. Note: Hilly! A great destination run for trail runners visiting Naples. This beautiful 8 km (one way) path extends along oceanfront cliffs between Positano and Bomerano on the Amalfi Coast. It's 70 km from Naples, best reached by car. Though not quite as as large as Capodimonte or Villa Comunale, Parco Fratelli De Filippo near Ponticelli is a nice green space for a few laps. 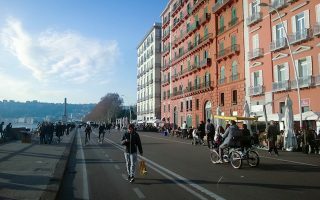 When staying in Naples, the most highly recommended places to stay are near Old Town (especially around Piazza Bellini) and along the waterfront. There is great running near both of these areas! See VisitNaples.Eu for info on travel and accommodations. Naples running stores include chains like Nike, Foot Locker, DM Sport, and Urban Jungle. The most famous running event in Naples is the Napoli Marathon, which includes a series of other, shorter races.